Based on a scenario where the catch of straddling taxa increase by 18% following a high-seas closure. Current landed value is the product of catch and ex-vessel price. Catch data were extracted from the Sea Around Us global catch database26 (www.seaaroundus.org) while ex-vessel prices were obtained from Sumaila et al.29 and Swartz et al.19. The annual catch of straddling taxa by each fishing country was projected to increase by 18% under the high-seas closure scenario, whereas the catch of non-straddling taxa remains unchanged. Countries with negative and positive change in landed values were labelled “Loss” and “Gain” in the map, respectively. Closing the high seas to commercial fishing could distribute fisheries income more equitably among the world's maritime nations, according to research from the University of British Columbia (UBC). The analysis of fisheries data indicates that if increased spillover of fish stocks from protected international waters were to boost coastal catches by 18 per cent, current global catches would be maintained. When the researchers modelled less conservative estimates of stock spillover, catches in coastal waters surpassed current global levels. The study examined global fish catch and landed value data to determine how much fish is caught in the high seas and how much is caught in coastal waters (nations' 200-mile exclusive economic zones). The researchers then used models to compare likely increases in coastal catches driven by increased biomass spillover from protected areas and losses from the closure of high seas fisheries. “We should use international waters as the world's fish bank,” says Rashid Sumaila, director of the UBC Fisheries Economics Research Unit and lead author of the study. Fishing in Iceland waters in the North Atlantic. Big catch of red fish hauled on board a freezing trawler. The findings appeared yesterday in Scientific Reports, published by Nature Publishing Group and will be presented today at the 2015 annual meeting of the American Association for the Advancement of Science (AAAS). Average annual portions of taxa taken from the high seas only, from both the high seas and Exclusive Economic Zones (EEZs), and from EEZs only based on global catch statistics 2000–2010. The study also indicates that a high-seas moratorium would improve fisheries income distribution among maritime nations. 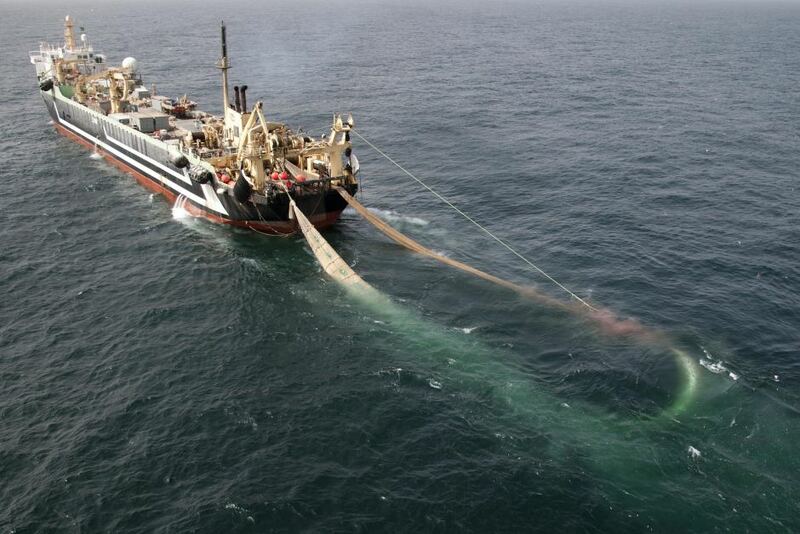 Currently, 10 high seas fishing nations capture 71 per cent of the landed value of catches in international waters. Under all scenarios considered by the researchers, European Member States, Group of Eight nations, and least developed fishing nations would benefit the most from a closure. Under a catch-neutral scenario, the United States, Guam and the United Kingdom would benefit the most, each with potential increases in landed values of more than USD 250 million per year. Canada would see an increase of USD 125 million annually. While closing the high seas would benefit some countries, others stand to lose significant fisheries income. South Korea, Taiwan and Japan would each see a decrease in catch values of at least USD 800 million per year in a catch-neutral scenario. Countries that sail vessels under flags of convenience would also be hard hit. While this figure is not insignificant, Sumaila points out that the high seas belong to the world and currently only a few countries benefit from the fish resources. Countries fishing in the high seas will have to give something up to achieve higher levels of food security and profits globally. The authors acknowledge that implementing a high seas ban would be a major undertaking, but argue that the ongoing expansion of human activities into the oceans may soon require major reform to the governance of international waters, while penalties imposed on illegal fishing could offset administrative and operational costs.